Three more cases. Case 1 (Gluck): Dialysis patient with few symptoms and a serum sodium of 185 mEq/L. Fact or factition? (OK, we must made this word up!) Case 2 (Berl): Sixteen year old girl with serum sodium of 118 who collapses at a dance party with respiratory arrest and later, seizures. How do we diagnose the cause, and how can we safely treat this young patient? Case 3: ICU patient with bacterial pneumonia with serum sodium increase from 140 to 148. What could be causing this? How do we explain his urinary osmolality of 425 and urinary sodium of 15? Then a long, very interesting question and answer session. Suggest that you print out the "small slide" version of the file for your reference to follow the Q&A. Gomez-Sanchez C., Dworkin L., Toto R.
Portman R., Izzo J., Norris K., August P., Sarnak M.
Moe S., London G., Sarnak M.
Korbet S., Kupin W., Appel G., Charytan D.
Falk R., Pusey C., Appel G.
Rennke H., Glassock R., Appel G., Cattran D., Korbet S.
Appel G., Rennke H., Cattran D., Falk R., Korbet S.
Part 4. AVF creation, endovascular managment, thrombectomy, interventional coding, training and credentialing. Pflederer T., Nassar G., Falk A., Schon D., Saad T.
Hoggard J., Samaha A., Abreo K., Beathard G.
Work J., Saad T., ONeill W., Ash S., Behrend T., Gerges A. Part 1. Vascular anatomy, Physical exam, Basic tools, Radiation safety, Pathobiology. Miller P., Lewis J., Beathard G., Dwyer A., Roy-Chaudhury P.
Lo B., Moe S., Calfee J., Wolfe S.
Part 3. Journal club of an observational study. Decision analysis. Kt/V debate - Cohort vs. Randomized trials. Powe N., Wolfe R., Greene T.
Appel L., Kimmel P., Garg A., Goldberg R.
Part 1. Epidemiology key principles. Case-control studies. Cohort Studies. Feldman H., Klag M., Thadhani R.
This is a series of 5 or 6 cases, each exemplifying a frequently encountered problem in the diagnosis and treatment of anion-gap-negative acidosis. Included is a discussion of treating diabetics with CKD, some acidosis, and hyperkalemia; use of Florinef and Kayexalate; non-gap vs. gap acidosis with ketoacidosis during the treatment phase; making sure a low bicarb is, in fact, due to acidosis; confounding effect of UTI with urea-splitting organisms; types of RTA wth lupus; dilutional effects due to IV saline administration; and acid-base disorders with Sjogren syndrome and with multiple myeloma. Martin G., Mauer M., Klein J., Throckmorton D., Hostetter T., Kopp J. Cell Injury and Recovery: How Do the Cell and Its Milieu Mediate Progressive Renal Disease? Bissell M., Weber K., Schnaper H., Savill J.
Matrix and Remodeling: What Are the Molecular Mechanisms of Fibrosis? Abrahamson D., Ramirez F., Sakai L., Murphy-Ullrich J., Kang D., Basile D., Eddy A. Organ Models of Tissue Fibrosis: What Insight Can We Gain into Mechanisms? Kopp J., Diegelmann R., Noble P., Cowper S., Ingelfinger J., Kriz W.
Folkert Anemia and Iron Management: Addressing Challenges and Generating Solutions. (Andrea Easom, MA, MNSC, APRN, BC, CNN, and Vaughn Folkert, MD. ANNA Fall Symposium; Kansas City, MO. September, 2005). Easom: What are the comorbidities associated with iron-deficiency anemia? What are current K/DOQI standards of care? How are both EPO and iron important? Folkert: How do we approach challenging patient issues such as high serum ferritin? Functional iron deficiency with RE blockade? EPO hyporesponsiveness. Free lecture, free ANNA CE. How do we define hypertensive urgencies and emergencies and what is their prevalence? What are the clinical manifestations, and what are basic treatment principles? What specific drug regimens can be practically used? How would we treat a 44 year old farmer with a BP of 220/130 with gradual confusion and belligerence and a creatinine of 1.3 mg/dL? How would be approach a 48 year old woman who develops excruciating chest and back pain midway through PTRA for fibromuscular dysplasia? What are useful intravenous agents, and what are preferred drugs for selected hypertensive emergencies? Case 1: New dialysis patient with hyperphosphatemia, poor compliance, and soft tissue calcification, and finally, calciphylaxis. What's the approach to such a patient and how do we treat? Case 2: Middle-aged African American smoker, nonuremic, on thiazides, presents with hypercalcemia. How do we sort out vitamin D, PHT, FHH issues from the usual diagnostic possibilities? Case 3: HIV patient with diffuse muscle pain and metabolic acidosis and hypophosphatemia. Case 4. New dialysis patient with hypercalcemia and hyperphosphatemia. How do we suppress her hyperparathyroidism? Questions about CKD patients: Vitamin D for all? Pre-emptive phosphate binders even when phosphate is still in the normal range? Senft and Zuber: How should we present various ESRD treatment options and when? Botiller: What is appropriate bone and mineral management during CKD? Can we impact survival? Rabetoy and Holley: What are the RPA guidelines regarding palliative care and advance directives? Goldman: What are the available CKD educational tools and how best can we use them? Troidle: What are practical points relating to dialysis adequacy? Singh: How can we reduce cardiovascular morbidities and improve outcomes in an at-risk population? This program is open to all RPA members regardless of HDCN status, and to HDCN key zone subscribers. CME/CE is not available for these talks. Kuhlmann M. vs. Young E.
DEBATE: Are practice patterns the prime factors responsible for mortality differences between Europe, Japan and USA? Bellovich: What is the role of the nurse practicioner and physician assistant in kidney patient care? Alleman: What are the benefits and barriers of the nurse practicioner role in nephrology? Dinwiddie: What are the steps for assessing a maturing as well as functioning access? What are the methods and rationale for access surveillance? Wish: How does anemia management differ in CKD patients, hemodialysis patients, and peritoneal dialysis patients? Provenzano: What will be the economic impact of the growing population of CKD patients on the healthcare system? What do we need to do to survive in this new ecosystem? This program is open to all RPA members regardles of HDCN status, and to HDCN key zone subscribers. CME/CE is not available for these talks. Palevsky Acute Renal Failure - Therapy. (Part Two of Two). How does ATN present? You know about its 3 causes, but did you know about its 4 phases? Necrosis or apoptosis? What's the pathogenesis? How can renal inflammation associated with ATN affect distal organs like the heart? How can we prevent contrast nephropathy? Are low osmolar or iso-osmolar dyes useful? Is saline the gold standard? Is bicarbonate better? Can we reconcile all of the studies of N-acetylcysteine? What about fenoldopam? Theophylline? Preventive hemofiltration? Does low-dose dopamine have a role in ARF? Atrial natriuretic peptide? Are KIM-1 and NGAL of clinical use as novel markers of renal injury? Does early initiation of dialysis or CRRT help in ARF? What are the latest studies comparing intermittent HD with CRRT? What about PD and SLED? Membrane biocompatibility? More frequent (daily) intermittent dialysis? Inflammatory Load in Hemodialysis: What Havoc Does It Cause? Palevsky Acute Renal Failure - Pathogenesis, Diagnosis, and Therapy. Part One of Two. How do we define acute renal failure (ARF)? What are the new RIFLE criteria? How do we diagnose ARF? How useful is the fractional excretion of urea? How does ARF impact on mortality? How do new theories of hepatorenal syndrome help us manage this condition? What is the abdominal compartment syndrome? How do we diagnose post-renal ARF? Interstitial nephritis? Acute vascular syndromes, and in particular, those due to atheroembolic disease? Part Two comes next week. What are the two broad categories of hereditary DI? Of the pure water type, what percent is due to AVPR2 loss of function? What percent due to aquaporin 2 gene mutations? How can loss of movement of these receptors to the cell membrane be corrected? In complex (water plus ion) polyuria, what are the genetic etiologies? What is the treatment strategy? How do prostaglandins and cyclic AMP contribute to disease pathogenesis? What are the benefits of genetic testing in these disorders? (Dr. Bichet's laboratory is available to perform genetic tests for selected patients). Biopsy Conference: A Vietnamese female in her 50's with miliary tuberculosis and renal failure. A Vietnamese woman in her 50's presented with a several-week history of liver dysfunction. She initially received treatment with steroids for possible auto-immune hepatitis, but later found to have hepatitis B infection. She subsequently diagnosed with miliary TB with lung involvement. Teaching points: Renal tuberculosis may present as part of generalized dissemination, or as a localized form TB interstitial nephritis may be associated with renal impairment. Early cases may be treated successfully with anti-TB therapy. With late stages, surgical intervention may be necessary. How do we diagnose calciphylaxis? What are the three predominant types? What are the risk factors? What is the latest thinking about etiology? How well to the various proposed treatments work, including pamidronate or thiosulfate? Does parathyroidectomy have a role? Prednisone? Heparin? Hyperbaric oxygen? What is the evidence that cytotoxic therapy is indicated to treate idiopathic membranous nephropathy (IMN)? What is the natural history of untreated IMN? Does cyclosporine have a role? How does interstitial fibrosis affect response to therapy? What is the response to rituximab? In the presence of interstitial fibrosis, what treatment options are available? What type of treatment strategy should be using in 2005? Impact on Living Kidney Donors: Quality of Life, Self-Image and Family Dynamics. (Patricia Fisher, BSN, RN, CCTC; Denise J. Kropp, BS, BSEd; Eileen Fleming, MSN, RN. 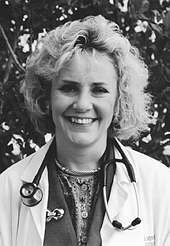 (Eleanor F. Ravenscroft, MSN, RN, CNeph(C). (Deborah Bowe, RN, CNN; Debra Ammel, MS, RD, CD. How often does acute renal failure supervene in patients undergoing orthotopic liver transplantation OLT? How does ARF prior to, or after, transplantation, affect prognosis? What are the most common etiologies? What is the impact of hepatorenal syndrome in such patients? How does early renal replacement therapy affect cost and patient outcome? What is the role of CAVH? How often does chronic renal failure supervene after OLT? What are associated factors? How does CRF affect outcome? What are the benefits of cyclosporine-sparing regimens? In patients requiring RRT at the time of OLT, what are the benefits of combined kidney-liver transplantation? What is the incidence and pathogenesis of erectile dysfunction in CKD patients? How do neurologic, endocrine, and vascular factors each play a role? What are abnormalities of the hypothalamic-pituitary-testicular axis? What is the general approach to evaluating and treating such patients? Do they respond to phosphodiesterase-5 inhibitors? What are the pitfalls in treatment? How common is sexual dysfunction in women with CKD? Do the new treatments using testosterone help? How does coronary artery disease in CKD patients differ from that in the general population, in terms of pathology, risk factors, and response to both revascularization and percutaneous coronary intervention (PCI)? What are the indications and risk factors for angiography in CKD patients? Do they do better with revascularization? How does response depend on stage of CKD? Are CKD patients good candidates for PCI in the new device era? 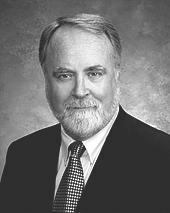 (Steven Fishbane, MD; Bradley A. Warady, MD. ANNA National Symposium; Satellite Meeting. Las Vegas, NV. April, 2005). What is the prevalence of sleep apnea in the general population? How is this different in ESRD? What are the main types of sleep apnea? How does their treatment differ? Which types are more prevalent in ESRD patients? What are the risk factors? Is obesity a risk factor in ESRD? How is sleep apnea syndrome (SAS) related to REM sleep, and how does this differ in ESRD? How are restless legs syndrome and periodic limb movements of sleep (PLMS) different from SAS? To what extent does SAS and PLMS predict mortality? What can we do to treat these syndromes? How are they affected by dialysis schedule, use of a high-flux membrane, or transplantation? What are the two types of heparin-induced thrombocytopenia (HIT), and how do they differ in pathogenesis and therapy? What immune derangements are responsible for immune-mediated HIT? What types of heparin are implicated? What is the time course of thrombocytopenia as well as antibody levels? How should such patients be managed? What are alternative anticoagulants and catheter locking solutions that can be used? How is microalbuminuria involved as a marker of cardiovascular disease? As a marker of progression of diabetic nephropathy? To what extent does microalbuminuria predict progression in non-diabetic renal disease? How is metabolic syndrome defined, and to what extent are the various component factors associated with progression? What do we know about obesity-associated kidney disease in adults and children? What is the associated renal pathology? How does obesity-associated focal sclerosis affect renal survival? Renal hemodynamics? To what extent is the renal hemodynamic effect reversible? What should be our prevention and treatment strategies? (Lori Harwood, MSc, RN, CNeph(C),: Heather Locking-Cusolito, MScN, RN, CNeph(C);Joan Spittal, MSW, RSW; Barbara Wilson, MScN, RN, CNeph(C); Sharon White, MBA, RN. ANNA Fall Clinical Practice Session. New Orleans, LA. October, 2004). (Susan M. Hossli, MSN, RN. ANNA Fall Clinical Practice Session. New Orleans, LA. October, 2004). Renal Replacement Therapy in the "Big Patient"
-How "Pure" Is Commercially Available PD Fluid? How can we evaluate treatment results from idiopathic membranous GN (iMGN) given the high spontaneous remission rate? What should initial conservative therapy be? How do we separate out risk levels? What is the Toronto risk prediction algorithm? How useful is urinary NAG or renal pathology in predicting progression? What are the most appropriate treatment options for patients at low, medium, and high risk of progression, respectively? What are the long-term follow up results of cyclosporine therapy, and how does this compare to use of steroids with cyclophosphamide? How do experimental studies of ANCA help explain the pathogenesis of microhemorrhage? What is the role of ANCA antibodies in clinical disease? How is ANCA vasculitis treated at Hammersmith Hospital? What are results of treatment? What do observational studies tell us about use of plasma exchange in severe RPGN-type, ANCA vasculitis? What was the design of the randomized MEPEX study? What did it show in terms of benefits of plasmapheresis for ANCA-positive vasculitis with severe renal involvement? Does plasmapheresis have any effect on the lung hemorrhage often associated with this condition? How did the European vasculitis proposals arise? What are the main trials and what features of vasculitis do they address? What did the NORAM trial address (cyclophosphamide vs. methotrexate in Wegener's). What about the CYCAZAREM trial, to see how much cyclophosphamide should be used? What have these trials told us about drug toxicity? About assessment of outcomes? About quality of life? Which are the ongoing EUVAS trials? What are the 11 change concepts from the U.S. Vascular Access Initiative? Does flow really increase in fistulas that much after the first 2-3 weeks? How should fistulas be cannulated? What needle size and what blood flow? What training is required? What are simple tests to evaluate fistulas to assess inflow and outflow stenosis? How and when should fistulas be evaluated? What are common problems, and what is the approach to solving them? What is the value of flow vs. static or dynamic pressure measurements? How do we approach complications such as fistula thrombosis? What is the impact of patient risk factors for contrast nephropathy? How much better are low osmolality or iso-osmolar contrast agents? Dye dose, prophylactic hemodialysis, hemofiltration -- how effective are they in limiting injury? Normal, half-normal saline, furosemide, N-acetylcysteine, bicarbonate hydration, dopamine or ANP analogues - do any of them work? Prostaglandin inhibitors, L-arginine precursors? Is medullary hypoxia a unifying hypothesis for this form of injury? Agarwal: What is the evidence from animal studies that iron deficiency without anemia can result in muscle dysfunction? Problems in cognition? Restless legs syndrome? Problems with thermoregulation? What data in humans is available to support some of these animal studies? Coyne: What is the evidence regarding increased iron dosing and risk of infection or cardiovascular disease? What are potential issues relating to confounding by indication? What data do we have about the safety and/or efficacy of giving IV iron to patients with serum ferritins greater than 500- 800 ng/mL? How can use of reticulocyte hemoglobin concentration inform us regarding iron status in patients with elevated serum ferritin levels? To what extent do ACE-I drugs block plasma aldo levels? After RAS blockade, what additional potential advantages accrue by blocking aldosterone? What are the data for spironolactone and epleronone in terms of CV outcome improvement? What are their side effect profiles? What is the risk/benefit of hyperkalemia with such drugs? What are the potential benefits, as well as hazards, of combining an ACE-I with epleronone? Managing Hyponatremia: "There is Something New"
Biopsy Conference: A female in her 30's with a renal transplant, diagnosed with BK nephropathy, came for a 2nd opinion. What is the optimal way to diagnose this condition, how do we diagnose cellular rejection in the setting of BK nephropathy, what treatment options can we consider? Teaching points: BK virus nephropathy may be seen in up to 8% of renal transplants. -The gold standard for diagnosis is the finding of inclusions in the renal biopsy which stain for the SV40 antigen. -Surrogate markers include the finding of decoy cells and PCR for BK virus. -Screening for BKN may lead to early diagnosis and potentially improved outcome. -Treatment strategies include reduction of immunosuppression, and the possible use of leflunomide, cidofovir and sirolimus. HDCN is reproducing a Palliative Care conference hosted by Network 5 in Orlando last December. The audiofiles and slides are available, and 8 hours of CME and CE credits, generously supported by MARC, the Mid-Atlantic Renal Coalition, are free of charge. The symposium is divided into 3 parts to make it more manageable. In Part One, Bock describes how one completes the care continuum. Carla Braveman discusses hospice care and bereavement, while Davison talks about control of pain and symptom burden. In Part Two, Germain describes how one can incorporate palliative care into the dialysis unit, and a panel discussion provides a financial, nurse, patient, lawyer, and social worker perspective. In Part Three, Colvin presents a patient-centered approach with advance-care planning, Goldman evaluates clinical performance measures for end-of-life care, Moss focuses on ethical and legal issues, and Holley discusses advance care planning and CPR. Not all speakers are pictured, as some did not have photos available. One of the gurus of stone disease discusses some very interesting new information about the pathogenesis of uric acid stones. The primacy of low urinary pH in this disorder was well known. New evidence suggests that low urinary pH is more common in diabetics and in the obese and is linked to insulin resistance and the metabolic syndrome. Sakhaee presents data suggesting how renal insulin resistance leads to impaired ammoniagenesis and hence a lower urinary pH, with data in patients echoed by data in obese (Zucker) rats. The ASN's 2nd Annual Debate in Hypertension: Renal Protection: Is it the RAS or Just Lowering the BP? Regenerating Tissues and Organs: Fact or Fantasy? Aronoff: The prevalence of CKD is rising, and most CKD patients die of cardiovascular disease. What are the sources of this increased risk and are these risks reversible? August: How well is blood pressure controlled in CKD? To what extent is elevated BP in CKD a risk factor for progression? What should treatment goals be, and what classes of drugs should be preferred? Himmelfarb: At what level of GFR does mortality and CV risk really begin to increase? What oxidative markers are useful to measure and how do their levels change at different stages of CKD? Van Wyck: Is anemia a risk factor for cardiovascular events in CKD? Does treatment of anemia worsen or improve cardiovascular outcomes? Chronic allograft nephropathy (CAN) is associated with proteinuria, impaired renal function, and hypertension. Early on tubulointerstitial damage is seen; later we see microvascular changes and glomerulosclerosis. How is this linked to delayed graft function? to severe rejection? To subclinical rejection? What is the mechanism of subclinical rejection and how is this modified by immunosuppression? What is the triphaisc response of glomerular injury? What is the mechanism of formation of atubular glomeruli? What is the role of recurrent disease? What types of renal injury due to cyclosporine are commonly seen? What is striped fibrosis? Arteriolar hyalinosis? What is the transplant paradox? Roth: What are the pathophysiologic features of calcineurin inhibitor nephrotoxicity? How are cyclosporine and tacrolimus different in this regard? What's are their effects on fibrogenesis? What are the benefits of a two-stage immunosuppressive protocol? What are CNI withdrawal protocols? What are the roles of polyoma virus and hepatitis C in allograft failure? Davis: What's the classic timeline of different infections after transplant and how has this now changed? How do we evaluate such patients for infectious causes of allograft dysfunction? How do we recognize PTLD, cytomegalovirus, HHV-6, Kaposi, Clostridium difficile, and other problems? What practical measures can patients use to protect themselves while traveling or gardening? Brennan: What are common causes of infection after immunosuppression, particularly outside of the transplant setting? Herpes simplex, EBV, zoster, CMV - do we need to worry about these? What is the role of valganciclovir and gancyclorive in prophylaxing against CMV in immunosuppressed patients? How can we diagnose BK nephropathy? How can we tailor immunosuppression to minimize its occurrence? What are the components of the potential transplant recipient evaluation? What is the best screening strategy for coronary artery disease? Screening for infection? For cancer, including breast, colon, and prostate? What should the psychosocial evaluation be? What about the potential living donor? What is the latest information regarding renal function and risk of proteinuria and ESRD in donors? Is nephrolithiasis a contraindication? What about obesity? What should the acceptance criteria be? What is the donor evaluation for diabetes, hypertension, and PKD? Coyne: The need for IV iron is well established in hemodialysis patients. What is the evidence of benefit in PD patients? In transplant patients? In CKD patients not yet on dialysis? Warady: What are hemoglobin levels in children with ESRD? How does this relate to mortality and to hospitalization? How prevalent is the use of EPO and IV iron in kids on hemodialysis and on PD by age group? What are the data regarding oral iron in kids? What do we know about effectiveness and safety of IV iron gluconate in children? Kalantar-Zadeh: What is ferritin? Where does it come from? Where is it stored? How are TSAT and ferritin altered in various disease states, inflammation, and malignancy? How is the serum iron level related to hospitalization and mortality? Are ferritin levels between 800 and 2,000 ng/mL explainable in terms of iron overload? Nissenson: What are the limitations of TSAT and ferritin in diagnosing iron deficiency in ESRD? What is the data regarding alternative markers such as reticulocyte hemoglobin, percent hypochromic red cells (PHRC), and soluble transferrin receptor? What is hepcidin and how is it involved in all of this? What do imaging data (SQUID) tell us about iron stores in ESRD patients? What are the components of the B cell humoral immune response after transplantation and why is this important? This is more prevalent than previously realized, associated with a worse prognosis, is widely relevant, and requires a different treatment. What tests can we use to suspect antibody-mediated rejection? How useful is C4d staining? So what are the treatment options and to what extent are they effective? MMF, IVIG, rituximab, and plasmapheresis - what are the results? What do we know about different type of B cells and their life cycle, and why might this be important in developing new avenues of therapy? Silverberg: How are CKD, anemia, and CHF tied together? How might heart failure cause anemia? How might anemia be involved in progression? Does correction of anemia in CKD patients improve CHF? Does correction of anemia in CKD patients slow progression? Singh: Among CKD patients, who should be treated for anemia, and to what target level? What is new about epoietin alfa dosing schedules for CKD patients? What are results with dosing every other week? Every 3 weeks? Every 4 weeks? What is the latest information about anti-Epo antibodies? Nohria: How do cardiologists approach management of decompensated heart failure? What is the potential role for nesiritide, a synthetic natriuretic peptide? What is the pathophysiology of cardiorenal syndrome? What are potential therapies? How do we decide whether or not to employ induction therapy? If yes, which agent should we use in which circumstances? What are the various possibilities for maintenance immunosuppressive regimens? How can the maintenance regimen be tailored to individual patient needs? Jones: What happens to serum vitamin D levels in CKD and why? What are the classical as well as non-classical actions of vitamin D? What effects does vitamin D deficiency have on the immune system, cancer, muscle, and the renin-angiotensin system? What are K/DOQI guidelines regarding vitamin D and CKD? How do pharmacokinetics of doxercalciferol, as a prodrug, differ from those of calcitriol and paricalcitol? Lindberg: In terms of bone-mineral balance, how does the therapeutic strategy for CKD patients differ from the strategy for patients with ESRD? What are the appproved vitamin D analogues and what did randomized clinical trials show using these agents in CKD patients? What are potential roles of stem cells in renal disease? What sort of gene regulation is characteristic of stem cells? Are there nephric stem cells? If so, where would we begin to look for them? What is the data regarding marrow stromal cell transplantation in cisplatin-induced renal failure? What do we know about multipotent adult progenitor cells (MAPCs)? (Editor's note: This talk is basic-science oriented). Biopsy Conference: A Caucasian female in her 30's with acute renal failure and proteinuria after a renal transplant. This patient originally had diagnosis of minimal change disease treated with steroids and later, cyclosporine and found to have FSGS. Within 12 months she had ESRD. After an LRD transplant, she had recurrence of FSGS. Teaching points: What is the recurrence rate of FSGS after transplant? Is use of a living donor acceptable? Is early treatment with plasmapheresis of benefit? Rumberger: What is the new technology available to measure cardiac calcification. How do the various CT and EBT scans differ? How are CA calcification scores obtained and how do they correlate with outcome? Raggi: What are prognostic implications of intimal vs. medial CA calcification? What are the risk factors? How do phosphate binders impact on vascular calcification in dialysis patients? Is the impact different in patients who are new to dialysis? Moe: How did K/DOQI decide on its target serum phosphate levels? What is known regarding outcomes and measures of mineral balance? What calcium intake should we be targeting? How might calcium homeostasis impact vascular calcification in ESRD patients with different types of bone disease? What are the mechanisms of renin-angiotensin mediated kidney injury? How does aldosterone-associated fibrosis impact on this? Are there benefits to combine ACE-I and ARBs? What did the COOPERATE trial show? What are renal and cardiovascular results of using epleronone? What is the pathogenesis of amyloidosis, and of AA amyloidosis in particular? What are associated inflammatory and malignant conditions? How can we manage an illustrative case (36 year old woman with proteinuria and GI symptoms and a long history of rheumatoid arthritis)? What are the therapeutic options? What are the new evolving therapies specifically designed to suppress AA amyloidosis? How is the incidence and prevalence of FSGS changing? What are predictors of outcomes? What are the prognostic factors on the renal biopsy? What are the treatment options? Do alkylating agents help? Cyclosporine? Mycophenolate mofetil? Tacrolimus? What do randomized trials show? Is there a role for adjunctive therapy, including plasmapheresis? What are the avant-garde therapies? What is the structure of the NIH-sponsored FSGS Therapeutic Interventional Trial? now in MP3 PGE Course: PREVENTION AND MANAGEMENT OF CHRONIC KIDNEY DISEASE: WHAT HAVE WE LEARNED AND WHERE ARE WE GOING? What Have We Learned and Where are We Going? What is the metabolic defect in Fabry's disease? What are the renal manifestations? Biopsy findings? What are the extrarenal manifestations? What is the inheritance, and what are the implications for treatment of men vs. women? What is the differential diagnosis? What is the role for enzyme replacement therapy? Ancillary renoprotective therapy? Renal transplantation? What are the steps whereby aldosterone activates sodium transport in the distal nephron? What is serum and glucocorticoid-regulated kinase (SGK1) and how is it affected by aldosterone? How does aldosterone stimulate ENaC-mediated sodium entry into tubular cells? What is the role for SGK1? The Nedd4 protein functions as an enzyme which modifies substrate proteins by the addition of ubiquitin groups in a process known as ubiquination. How does Nedd4-2 affect ENaC, and how is this modified by SGK1? Editor's note: This talk is molecular biology oriented. We do plan to post a subset of talks at this level from Renal Week 2004 as an experiment. Biopsy Conference: 48 year old Black female with HIV/AIDS since 1985, was evaluated for rising BUN and creatinine. 48 year old Black female with HIV/AIDS since 1985, was evaluated for rising BUN and creatinine. ANA and dsDNA tests for lupus were positive. Teaching points: There is a significant overlap between clinical manifestations of SLE and HIV. Combined renal lesions of SLE & HIV are more frequent in Blacks, males, and children with perinatally acquired HIV. Most patients had HIV diagnosed before SLE and were hypocomplementemic. Treatment is challenging; most pts have received prednisone with varying results. Anti-retroviral treatment should be continued. (Joel Glickman, MD; David Van Wyck, MD; Michelle Turgeon, MSW. Lesley Dinwiddie, MSN, RN, FNP, CNN - moderator. ANNA Fall Clinical Practice Session. New Orleans, LA. October, 2004). What is the pathophysiology of intimal thickening downstream to vascular grafts? What is the response in humans to vascular injury? What players are involved in vascular injury and repair? What role do neointimal macrophages play? What are the sites of action of anti-proliferative drugs such as sirolimus? What are the results with drug-eluting stents? What results with PDGF receptor antagonists? With use of very high blood flows? How does flow and shear modulate intimal function? What genes are induced?